Stevie-Award winner HGC Global Communications Limited (HGC) is a leading Hong Kong and international fixed-line operator. The company owns an extensive network and infrastructure in Hong Kong and overseas and provides various kinds of services such as telecom infrastructure service to other operators and is a service provider to corporations and households. The company provides full-fledged telecom data center services, ICT solutions and broadband services for local, overseas, corporate and mass markets. This telecom company proved their successes in the industry with three Stevie Awards in the 2018 Asia-Pacific Stevie Awards. They won the Gold Stevie for Innovation in Technology Management, the Silver Stevie for Innovation in Branded Entertainment, and the Bronze Stevie for Innovation in Media. HGC owns and operates an extensive fiber-optic network; four cross-border telecom routes integrated into tier-one telecom operators in mainland China and connects with hundreds of world class international telecom operators. The company is committed to further investing and enriching its current infrastructure and, in parallel, adding on top the latest technologies and developing its infrastructure services and solutions. Throughout the years, HGC has established a leading position in the local and international fixed network industry. HGC is positioned as the carrier’s carrier solution provider, and corporate ICT solution provider. When you combine all HGC’s capabilities — international carrier, integrated systems, complex telecom and digital delivery experience, and closeness to emerging markets — you begin to understand why HGC is emerging quickly in the competitive market. For instance, HGC is known for the ability to deliver complex and customized solutions, like pulling fiber and solution into places that many operators regard as challenging and complicated. Curiously, it’s these hard-to-do things HGC plans to replicate. At HGC, the goal is to maximize global business opportunities of every customer with the delivery of advanced fixed-line network technologies and unrivaled total telecom solutions. The Stevie® Awards has issued a call for entries for the 2018 (fifth annual) Asia-Pacific Stevie Awards, the only business awards program to recognize innovation in business throughout the entire Asia-Pacific region. The early-bird entry deadline is November 29. The final entry deadline is February 7, 2017, but late entries will be accepted through March 14 with the payment of a late fee. Complete entry details are available at http://Asia.StevieAwards.com. The Asia-Pacific Stevie Awards are open to all organizations in the 22 nations of the Asia-Pacific region: Large and small, for-profit and non-profit, public and private. The awards focus on recognizing innovation in all its forms, wherever it is achieved in the workplace. Entries are accepted in seven languages. New awards categories introduced for 2018 include Award for Innovative Management in Government, Award for Innovative Management in Non-Profit Organization or NGOs and Award for Innovative Management in Public Enterprises. 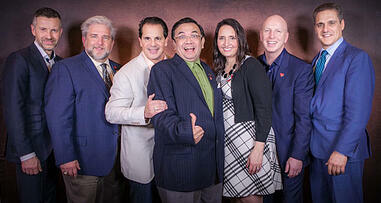 Asia-Pacific Stevie Award winners will be announced on April 18. 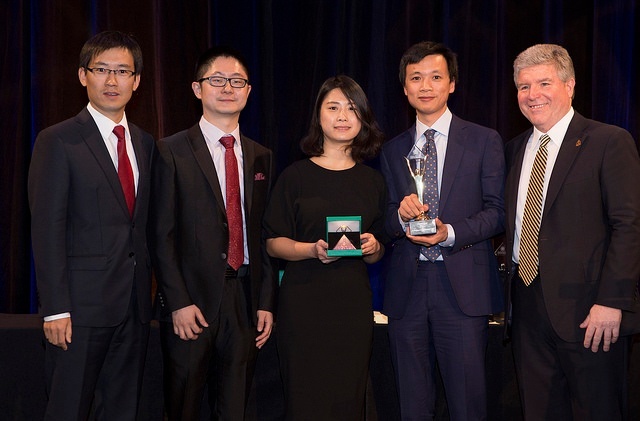 Winners will be celebrated and presented their awards during a gala banquet on June 1 in Hong Kong. Some of the Asia-Pacific region’s most innovative organizations have won Asia-Pacific Stevie Awards in the past four years including ABS-CBN Corporation, Bangkok Health Research Center, Delta Air Lines, Freelancer.com, GE Indonesia, Globe Telecom, Hong Kong Tourism Board, Huawei, Maras Group, MetLife Asia Ltd., MSLGROUP China, Ooredoo, PT Petrokimia Gresik, Samsung, Seoul Metropolitan Government, Singapore Power, Sony, Telkom Indonesia, Xiaomi, and more. The Stevie® Awards, organizer of the world’s premier business awards programs, announced the winners of three Grand Stevie Award trophies in its fourth annual Asia-Pacific Stevie Awards. 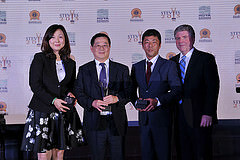 The Asia-Pacific Stevie Awards are the only awards to recognize innovation in the workplace throughout the entire 22-nation Asia-Pacific region. All organizations in the region are eligible to submit nominations. Gold, Silver and Bronze Stevie Award winners in the various categories were announced on 19 April. Those awards were determined by the average scores of more than 50 executives worldwide earlier this year. All awards will be presented to winners during a gala event at the Hilton Hotel in Tokyo, Japan on Friday, June 2. Tickets for the event are now on sale. 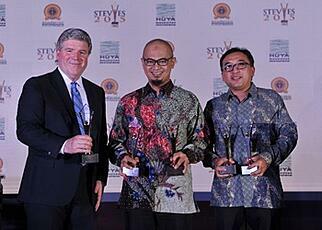 Telkom Indonesia, winner of the Grand Stevie for Organization of the Year for the third year in a row. The leading telecommunications and network services provider in Indonesia won the most award points in the competition this year with eight Gold, five Silver, and eighteen Bronze Stevie wins in a variety of categories for innovation. Each Gold win earns three points, each Silver win two points, and each Bronze one and a half points for the Grand Stevie-winner calculation. Yongin City won a Grand Stevie for Highest-Scoring Nomination of the Year in the competition this year. The one million population metropolitan city of ‘People-centered Yong-In’ won for its nomination of the city's mayor, Chan Min Jung, who also won the Gold Stevie Award for Innovative Management in Non-Profit or Government. Toyoko Inn Co.,Ltd. of Tokyo, Japan, which submitted the highest-scoring nomination from the host nation of this year’s awards ceremony. The 2017 Asia-Pacific Stevie Awards have recognized organizations in 15 nations including Australia, China, India, Indonesia, Japan, South Korea, Malaysia, Myanmar, New Zealand, the Philippines, Singapore, Thailand, the United Kingdom, the U.S.A. and Vietnam. More than 700 nominations about innovative achievements in the 22-nation APAC region were considered by the judges this year. Details about the Asia-Pacific Stevie Awards and the list of Gold, Silver and Bronze Stevie Award winners are available at http://Asia.Stevieawards.com. * Sponsors and partners of the 2017 Asia-Pacific Stevie Awards include PR Newswire Asia, the official news distribution partner of the awards, and the Korea Business Communicators Association. The 2015 Annual Report of CLP Holdings Limited, in Hong Kong, China, won the Gold Stevie® Award for Innovation in Annual Reports in the Annual Report & Other Publications Awards categories of the 2016 Asia-Pacific Stevie® Awards. The 2017 (4th Annual) Asia-Pacific Stevie® Awards is now accepting entries. We asked Geert Peeters, Executive Director & Chief Financial Officer at CLP Holdings, for some insight into how the Stevie® Award-winning 2015 Annual Report was created, and what winning a Stevie® Award has meant to the people who created it. Encapsulating guidelines by the International Integrated Reporting Council and the Hong Kong Institute of Certified Public Accountants, CLP’s 2015 Annual Report is the company’s fifth integrated annual report. Structured around the theme of CLP’s “unwavering commitment to the communities we serve,” the Report presents a connected view of the social, environmental, operational, and financial aspects of CLP’s overall performance in an integrated and innovative manner. “We have benefited immensely in the process, because innovation is a continuous undertaking and we are still learning how to do better,” continued Geert. “For example, we are an early adopter of integrated reporting, which means we report our business achievements alongside our environmental, social, and governance performance. Such an approach has provided us a holistic picture of what we do and what values we deliver to our stakeholders. To play its part in reducing the carbon footprint, CLP encouraged e-communication by donating HK$60 for each shareholder’s request to switch to its electronic publications. For the mailing of hard copies, the company specially designed a posting bag which could be converted into a reusable carrier bag in order to promote conservation and reduce waste. Continued Geert: “We recognize the world is changing rapidly, however. We need to have a clear vision of tomorrow and be able to harness the power of innovation so that we are well equipped and ready for change. To become the utility of the future, we need to transform to become a customer-centric energy company that can compete in a low carbon world. “This opens up a whole new vista of possibilities. Renewable energy is definitely one of them. It has been exciting to see that more and more countries in Asia are generating energy through renewable means, be it solar or wind. This is especially true in Mainland China and India, CLP’s two growth markets, which both have ambitious clean energy targets. Over the years, CLP has developed more than 3,000 megawatts of renewable projects, mostly in these two markets. And we have plans to do more. Geert Peeters has been the Group Director & Chief Financial Officer since 1 April 2014, responsible for Group financial control & reporting, Group treasury, Group tax, Group corporate finance, risk management, and investor relations for CLP Holdings Limited. He was appointed the Executive Director and Chief Financial Officer of CLP Holdings with effect from 1 January 2016. Mr. Peeters has over 25 years of experience in the energy industry. Prior to joining CLP, he was the Deputy Chief Financial Officer of GDF SUEZ (now known as ENGIE) Group based in Paris. Mr. Peeters was with GDF SUEZ from 1997 to 2013, gaining extensive experience in senior financial and operational roles in Europe, Latin America, the Middle East, and North America. He also served as the Executive Director and Chief Financial Officer of International Power plc, a GDF SUEZ subsidiary listed on the London Stock Exchange and part of the FTSE 100 index until July 2012. Before joining GDF SUEZ, he worked for KBC Bank in Brussels and New York and for Tractebel Energy Engineering at the Doel Nuclear Power Plant in Antwerp (Belgium). He also served as a Reserve Officer in the Belgian Air Force. CLP Holdings Limited, a company listed on the Stock Exchange of Hong Kong, is the holding company for the CLP Group, one of the largest investor-owned power businesses in Asia Pacific. Through CLP Power Hong Kong Limited, it operates a vertically integrated electricity supply business providing a highly reliable supply of electricity to 80% of Hong Kong’s population. Outside Hong Kong, CLP holds investment in the energy sector in Mainland China, India, Southeast Asia, Taiwan, and Australia. Its diversified portfolio of generating assets uses a wide range of fuels including coal, gas, nuclear, and renewable sources. CLP is one of the largest external investors in the Mainland’s renewable energy sector. In India, it is one of the biggest renewable energy producers and among the largest foreign investors in the electricity sector. In Australia, its wholly owned subsidiary, EnergyAustralia, is one of the largest integrated energy companies, providing gas and electricity to over 2.6 million households and businesses. CLP is listed on the Global Dow–a 150-stock index of the world’s leading blue-chips, the Dow Jones Sustainability Asia Pacific Index (DJSI Asia Pacific), the Dow Jones Sustainability Asia Pacific 40 Index (DJSI Asia Pacific 40), Hang Seng Corporate Sustainability Index Series, and MSCI Global Sustainability Index Series. The Spaceship, in Sydney, Australia, won five Gold Stevie® Awards in the 2016 Asia-Pacific Stevie® Awards: two in the Corporate Communications/Investor Relations/Public Relations Awards categories, for Innovation in the Use of Celebrities or Public Figures and for Innovation in the Use of Video; and three in the Marketing Awards categories, for Innovation in Branded Entertainment, for Innovation in Sponsorships, and for Most Innovative Marketing or Advertising Professional of the Year. The 2017 Asia-Pacific Stevie® Awards will open for entries in October. Request your Entry Kit here. We spoke with 2016’s Most Innovative Marketing or Advertising Professional, Kumar Manix, Founder and Creative Director of The Spaceship, about his company, his work philosophy, and what winning multiple Gold Stevie® Awards has meant to him and his team. Kumar and his team at The Spaceship specialize in blending the creative and the commercial with an entrepreneurial flair, and bring to each project a deep level of strategic thinking and industry knowledge honed by years of experience working with blue chip brands. The Spaceship team is talented and highly motivated, and they approach campaigns with a provocative and adventurous spirit, as well as a strong sense of fun, but are still relentless in achieving demonstrable results for their clients. Together with his team at The Spaceship, Kumar’s goal is to find innovative and inspiring ways to transform customers into fans, content into ideas, and ideas into experiences. A great example of this is the Gold Stevie® Award-winning entry for their Rise of The Tomb Raider Asia Launch. Tomb Raider is the iconic video game franchise starring its beautiful and fearless protagonist, Lara Croft, battling enemies through highly challenging environments using improvised weapons and gadgets. The exclusive launch of Rise of the Tomb Raider on Xbox made the event a natural magnet for worldwide attention, Xbox sought to elevate the game experience even further by bringing Lara Croft herself to life for fans in Asia. The Spaceship team created and executed a clever stunt-led idea that developed into an all-encompassing, fan-focused campaign. It started with a death-defying stunt, and continued with fun interactive contests using Twitch, the leading video platform and community for gamers. Renowned Lara Croft cosplayer, Jenn Croft, leapt off the world’s highest bungee jump at Macau Tower, decked out in the latest Tomb Raider outfit and accessories. Fans could #HackTheIce through the twitter hashtag to reveal prizes embedded in eight Rise of the Tomb Raider-themed ice sculptures. The entire event, from the death-defying stunt, fan engagement contests, unveiling of never-before-seen Rise of the Tomb Raider footage, meet-and-greets, and question-and-answer sessions were all streamed live over Twitch–a first for a game launch in Asia. Fans who tuned in participated by tweeting in their questions bearing the #HackTheIce hashtag, and voted for the ice sculpture to be hacked by Jenn Croft, to reveal prizes for participating fans. This sequence of events was also amplified via Xbox and Microsoft social media channels across Asia. A media release on the #HackTheIce campaign was disseminated to media across Asia, and posted on the Microsoft Asia News Center. The media outreach garnered 66 stories across multiple markets in the region. Kumar has led a wide range of high profile campaigns for clients such as Microsoft, Foxtel, Samsung, Intel, Coca Cola, and Adobe. He has achieved enormous success, driving millions of dollars’ worth of earned media and inspiring epic levels of fan engagement. As a marketer, his campaigns have seen him collaborate with some of the greatest storytellers in the world including Oprah, the BBC, Disney and Marvel. Through his innovative use of video to drive engagement, Kumar has taken fans on numerous adventures to thrilling places, such as floating 100,000 feet into the sky on a space balloon, leaping off a high building with Lara Croft, and driving at 280 km/h in a racing car with The Stig. He has worked extensively in the Asian market, primarily in China and Singapore, but also in Korea, Taiwan, and Hong Kong. His deep understanding of the unique character and requirements of consumers in Asia has helped him to achieve extraordinary results, including working on the launch of the Xbox video game console in China in 2014 following a decade-long ban on foreign video game consoles. Outside of his work, Kumar is happily married and the father of two children, Kiran and Ria. He is sports obsessed–something the Australians term a “sports tragic”–and a lover of street food from all over the world. He also owns an enviable collection of sneakers. The Spaceship is a brand activation agency that is based in Sydney and works globally. The Ministry of the Interior in Seoul, South Korea, won a Gold Stevie for Innovation in Community Relations or Public Service Communications in the Corporate Communications, Investor Relations and Public Relations Awards categories of the 2016 Asia-Pacific Stevie Awards. The Ministry also received the Grand Award for Communications/Public Relations. The 2017 Asia-Pacific Stevie Awards will open for entries in October. Sign up to recieve the entry kit as soon as it's available. Because of a low birth rate and rapidly aging population, social welfare requirements in South Korea have increased. This has put pressure on local finance, so in 2015, the Ministry of the Interior (MOI) introduced Local Finance Reforms to help address these problems. As a result, the Ministry has significantly improved public service communications with local communities through such activities as locally oriented storytelling, customized field public relations, extensive communications through social media channels, and the production and distribution of visual products such as info-graphics. We talked with Kim Sung-lyul, Vice Minster at the MOI, about the challenges his office was addressing; what winning the Gold and Grand Stevie Awards had meant to his department; and what the department was planning for the coming year. Continued Kim: “It is a great honor that our program to publicize local fiscal reform has won an internationally renowned award. It has inspired the teams that contributed to promoting these programs despite difficult circumstances. Our publicists are more confident and more focused on their work, and our administrators recognize more than ever the important role that communications play in actively motivating people. “It was also immensely helpful to have learned about other excellent cases and individuals from different countries at the awards ceremony, and to expand our network of policy publicity within the Asia-Pacific region. Kim explained: “The reason Government 3.0 holds such great importance is that unlike in earlier days when the government decided policies unilaterally, now it is co-governance between the government and the people. Also back then, corporations were only required to fulfill their social responsibilities, but now they’re expected to create shared values. It’s officially an ‘era of governance’ where cooperation between the government and the people is more than necessary. The border dividing the two entities is diminishing rapidly. Kim is enthusiastic about his career and the future: “If I had to live my life again I would still be a civil servant. I can think of no other occupation that is more rewarding. I take care and protect the lives, property, and security of the people. As a public official, I put people first. I can provide what people need and I can make the fallen stand once again. Kim has a personal credo, which consists of three core values: Pride, Pleasure, and Fulfillment. Vice Minister Kim Sung-lyul was born to serve. His father was a police officer, teacher, and a town official. Following in his father’s footsteps, Kim has been a devoted public servant for 30 years. He is immensely proud that his work protects the lives, security, and property of the people. Kim is also a founding members of the Civil Service Commission, and is proud of his involvement in the establishment of the public officer system, including the senior executive service system, incentive salaries, executive agency system, political executive HR system, and more. Early in his career, Kim spent two years on dispatch to the United Kingdom’s Home Office, and two-and-a-half years on dispatch to the headquarters of the Organization for Economic Co-operation & Development (OECD) in Paris, France, which provided him with a strong basis in domestic administration. Before starting his career as a public servant, Kim studied public policies in the United States. The Korean Ministry of the Interior is one of the core departments of the Korean government, working to improve the wellbeing of citizens through innovation and local governance. Under the regime of Park Geun-hye, President of the Republic of Korea, the MOI is focused on creating jobs and establishing an efficient government by providing customized services through Government 3.0 under the maxims of openness, sharing, communication, and cooperation. The MOI is devoting its full capacity to improving local government by fortifying and reforming local finance. Its top priority currently is to fulfill national endeavors to create an autonomous living style in which the people are happy; and to eliminate discomfort in daily life by reviving the local economy through on-the-spot regulatory reforms and innovation of local budgets. The MOI also supports government operations including parliamentary activities and prizes, national archival management, running the government office, unified operation of governmental resources, and scientific investigations. 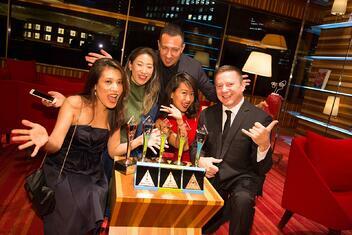 Winners in the third annual Asia-Pacific Stevie® Awards, the only awards program to recognize innovation in business throughout the entire Asia-Pacific region, will be honored this Friday, May 27 in Sydney, Australia. For the first time at the Asia-Pacific Stevie Awards gala, the awards presentations will be broadcast live. Watch the ceremony on Friday, May 27 on Livestream via the Stevie Awards’ Facebook page at 7:40 pm / 19:40 local time (9:40 am GMT, 5:40 am ET). You'll be able to watch the presentations on Facebook only if you're on a desktop device, however. To watch the event on your mobile device, watch it here. Won't be awake as the ceremony is taking place? Don't fret -- the Livestream will be saved to watch later on the webpages linked above. The Stevie Awards are considered to be the world's premier business awards, conferring recognition for achievement in the workplace over the past 14 years in programs such as The International Business Awards and The American Business Awards. The 2016 Asia-Pacific Stevie Awards have recognized organizations in 17 nations including Australia, China, Indonesia, Ireland, Japan, Malaysia, Myanmar, New Zealand, Qatar, the Philippines, Singapore, South Korea, Taiwan, Thailand, Turkey, the U.S.A., and Vietnam. More than 600 nominations about innovative achievements in the 22-nation APAC region were considered by the judges this year. This year’s top overall winner, with five Gold, eight Silver, and six Bronze Stevie Award wins is Telkom Indonesia. Atomic 212 of Australia has won eight Gold Stevie Awards, more than any other organization this year. Telkom Indonesia and The Spaceship (Australia) are runners up, each with five Gold Stevie wins. Winners of two Gold Stevies include KoROAD (South Korea), PT PETROKIMIA GRESIK (Indonesia), Singapore Airlines, Songpa Gu Office (South Korea) Strategic Public Relations Group (Hong Kong), and WardrobeTrendsFashion (Singapore). We were shocked and saddened to learn of the passing of Ir. Tony Roland Silitonga, MBM, MBA, DBAcan, a regular judge for the Stevie Awards, most recently for the 2016 Asia-Pacific Stevie Awards, His family informed us that he had passed away on April 15 after battling lung disease and diabetes, and our thoughts are with them at this time. It also caused us to look more closely at the illustrious career of a man we had come to see as a good friend of the Stevie Awards. Tony was a judge who took his responsibilities seriously, and last fall he received a prize for his contribution to judging the 2015 Stevie Awards for Women in Business. He and his wife attended our 12th annual awards dinner on Friday, November 13, 2015, in New York City, and we were honored to have met him and to have been able to thank him in person for his generous contribution to the important process of judging our Stevie Awards. Tony had more than 30 years of professional experience across different countries and industries, and had worked with different multinationals including IBM, ARCO Oil & Gas (now BP Indonesia), Standard Chartered Bank (The Philippines), Merrill Lynch (USA), China Development Industrial Bank (Taiwan), Indonesian Bank Restructuring Agency (IBRA/BPPN), and Indonesian Institute for Corporate Directorships. He was also a founder member of the Indonesian Finance Association, Forestry Research Program on Education & Cultural Transformation, and Sentra Pemimpin Asia, a John Maxwell Leadership Company. Tony graduated from Bandung Institute of Technology in Petroleum Engineering. He obtained his Master in Business Management (MBM) in Finance and Strategic Management from the Asian Institute of Management, Makati, Philippines, and his MBA in finance from Columbia Business School, New York, USA. Richa Ramola is Vice President Human Resources at Radius Global Solutions in Mumbai, India. As one of the more active judges in the 2016 Asia Pacific Stevie Awards, she contributed to judging submissions in the Company, Management, HR, Customer Service, and Creative Awards categories. See the full list of Asia-Pacific Stevie-winners here. We asked Richa about the judging process, what she thought about the Asia-Pacific Stevie Awards, and what most interested her about her own work. Apply here if you would like to be considered as a judge for the 2017 Asia-Pacific Stevie Awards. This year, the judges were divided into committees by category group and by language. The judges who participate in the Asia-Pacific Stevie Awards have their own competition: two of them will win a pair of tickets to attend the Awards Presentations in Sydney, Australia, at the end of May. Richa is hoping she will be one of this year’s contenders. “Sydney is such a beautiful city and I would love to visit it! And being part of the Awards Ceremony would make it all the more exciting,” she told us. Richa works in the Mumbai office of Radius Global Solutions, which has its corporate headquarters in Ambler, Pennsylvania, USA. 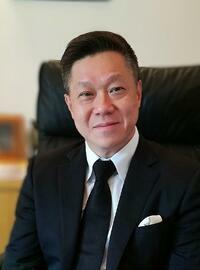 The company is hoping to expand into the Asia Pacific region in the near future. 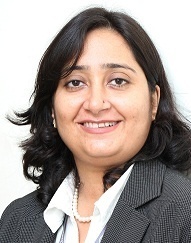 Richa is currently the Vice President HR for Radius Global Solutions' India site. Prior to this role, she had 19 years of experience across well-known organizations such as ITC Hotels, SITEL, and IBM. She has work experience across functions including Customer Service, Operations, Quality, Training, and Human Resources. In her current role, Richa is responsible for leading HR strategy for the India site and executing it successfully. She acts as a business partner to the organization’s senior management, sharing best practices, HR support, guidance, and advice with the India leadership. She manages all HR activities across the site, developing, implementing, and communicating HR practices, policies and programs.